Profitable pizza delivery: guide to driving restaurant delivery operations. Does your delivery service need a tune-up? Monitor delivery statistics all day long. Cut costs with more accurate forecasts and driver scheduling. Recognize the signs that a driver is cheating or stealing. Ensure more accurate street addresses for your delivery customers. Flag side items to avoid missed items on deliveries. Manage out-the-door times to drive kitchen efficiency. 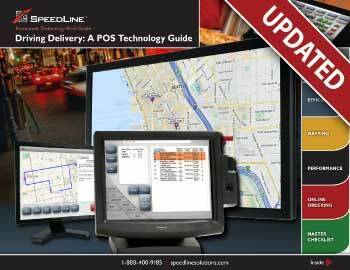 Improve on-time deliveries and cut costs with an expeditor setup. Make more money with consistent delivery zones and fees. Compare driver performance, from late deliveries to wait times.